Choose a farfalla Teapot ? What is your preferito type of butterfly? Which farfalla do te like more? Which is the prettiest to te ? If te were a farfalla what would te look like,please add a picture ? I would be a rosa shimmery farfalla like this one ! Would te like to read my poem? farfalle are my preferito insect.cause they are so beautiful.But let me tell te what happened before.When i was walking home from the libary.There was this big arancia, arancio and black farfalla that followed me home.It might of been my guardian Angel o something.But like i detto They are so beautiful.I think they are the most beautiful insect that God had ever made.And one più thing.When i was little My room was filled with butterfly's and of course fairy's.And when i go outside to play.I try to catch them. farfalle are extraordinary creatures – complex and enthralling. The più one learns about them, the più intriguing these air-borne jewels become. They employ many diverse methods such as mimicry, camouflage, seasonal colour changes, and sexual dimorphism to attract mates and avoid predation. Some undertake migrations and indeed the Monarch farfalla found in North America may fly as many as 3,000 miles which for its size is one of the largest migrations of any creature. have te ever watched a farfalla closely?if te have then i'm sure that te can see how independent they are.each one is a little different like us.and the way they fly so gracefully in the sky gives me a inspiring feeling that i can someday fly too.i know i may seem a little much,but it is how i feel.and that is why i will alway's Amore them because i know when i'm feeling down seeing a farfalla makes me know that no matter what i go through i can be confident that i -in the end-will be okay because unlike the butterfly,i have family and Friends that willhelp me through anything. farfalle have been a part of our planet for più than 50 billion years. These colorful little creatures not just represent happiness but also instill and spread happiness. 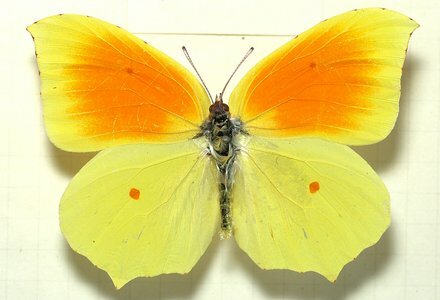 The farfalla Website is the world's oldest and largest website dedicated to farfalle and moths. What kind of farfalla is this? Why do te like Butterflies? What would te do if te were a butterfly?